Thanks to my hand model and sweet friend JL for this shoot! We had fun painting nails and enjoying some beverages. 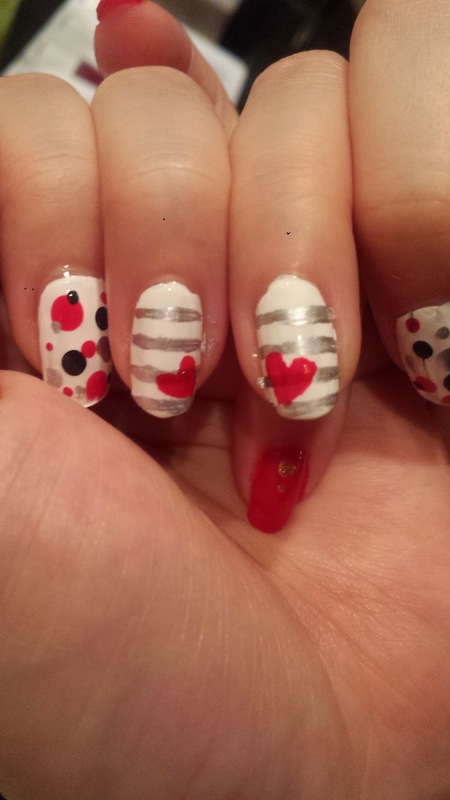 This nailart was created without any defined ideas to begin with. 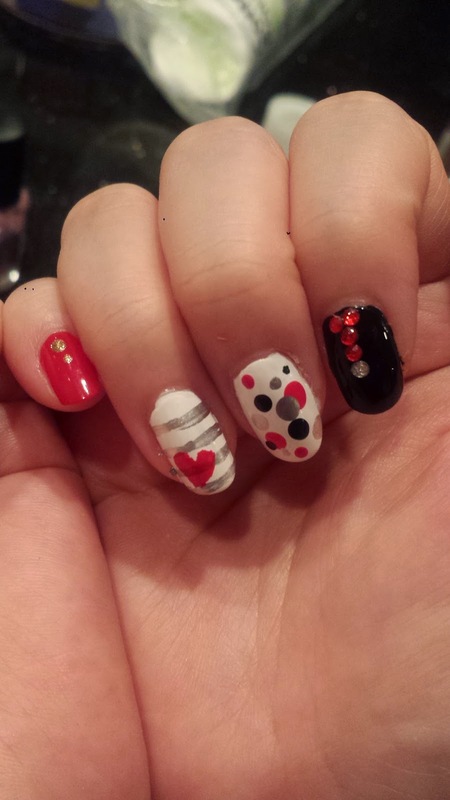 I painted red/black/white on different nails then added designs as I go. We then added some stripes and polka dots on the white nails and was being quite random, plus a little red heart on the stripes! 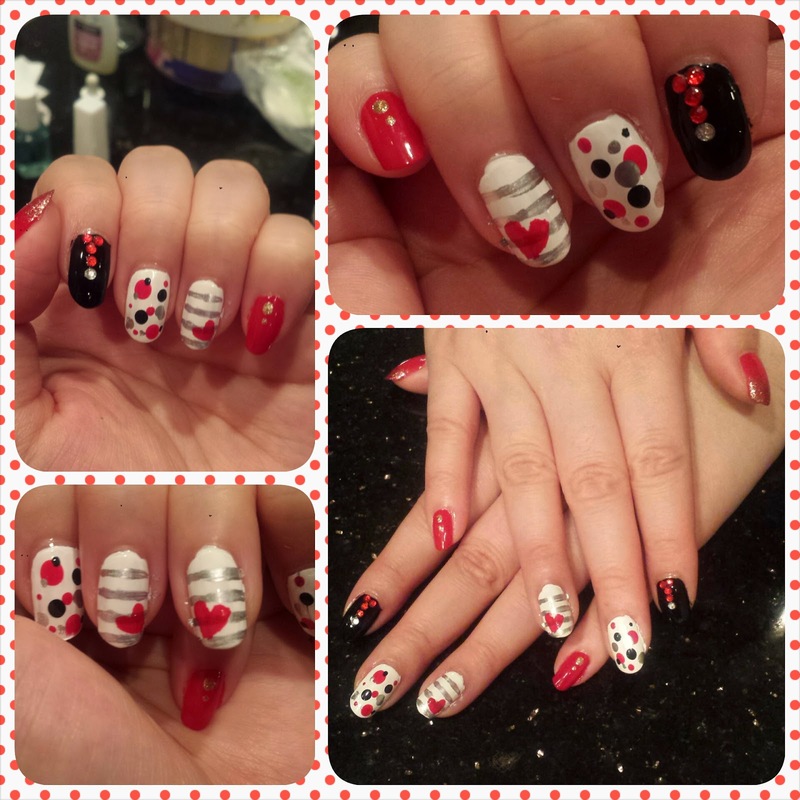 They turned out pretty cute we think! 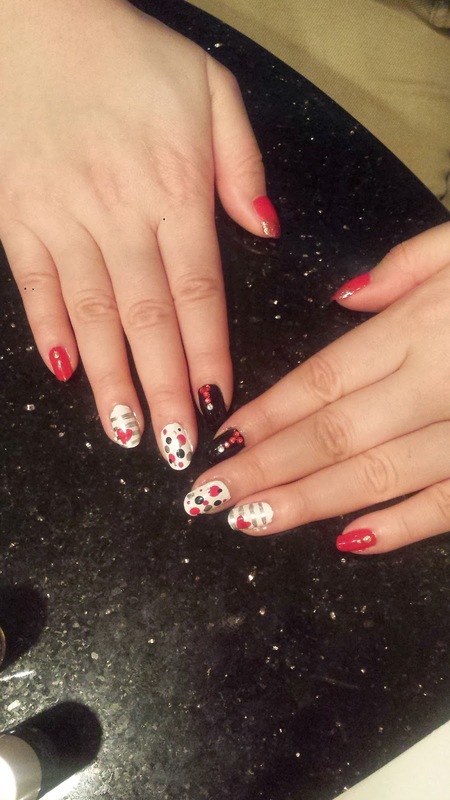 Then we added some red jewels on the black nail to add a little something to the index pointy finger.